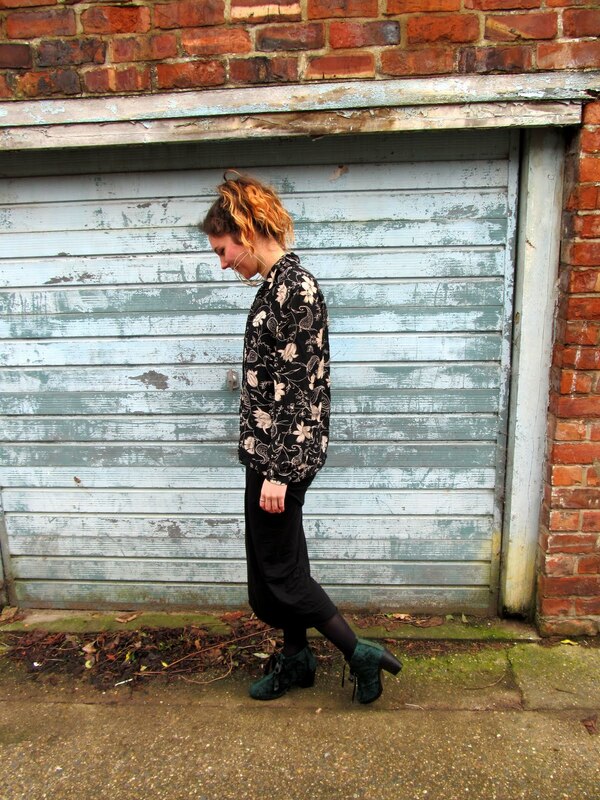 Browse: Home / 2013 / February / She wore green velvet. 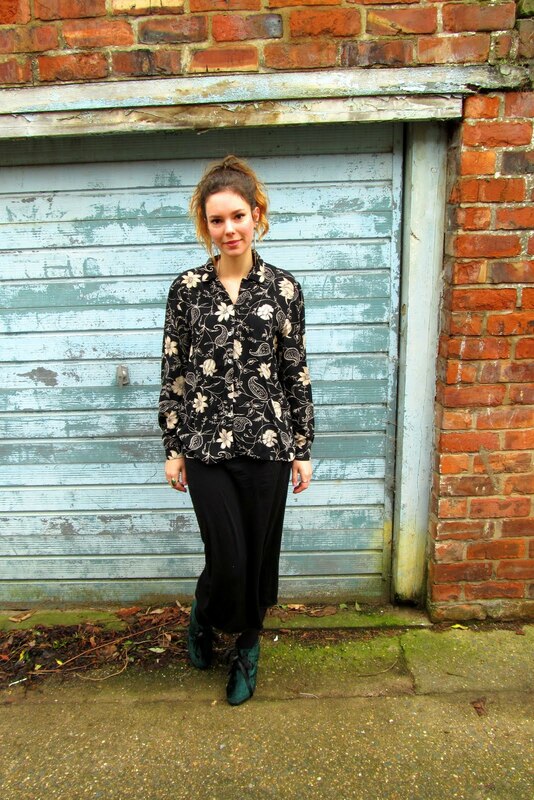 I had a lovely weekend spending time with friends, baking, vintage shopping and crafting. 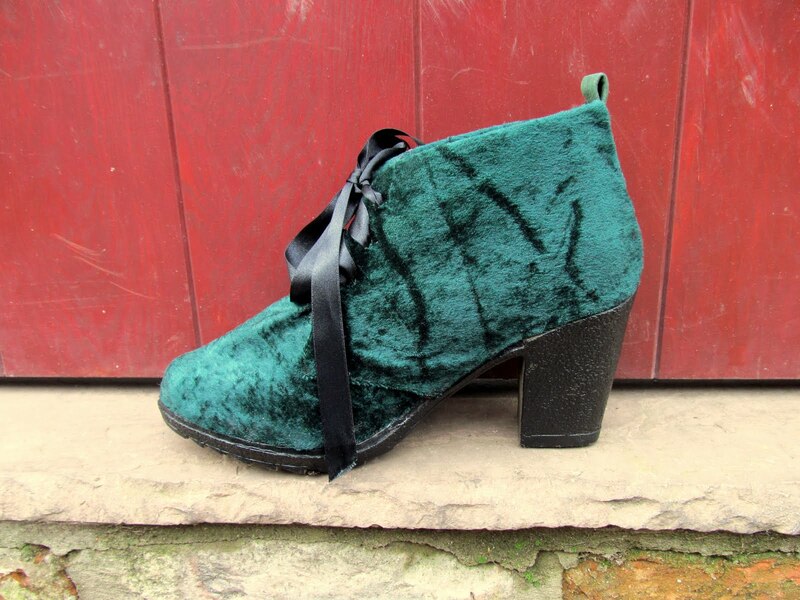 One of the things that I made is this pair of green velvet shoes! I’ve been wanting a pair for ages, but hadn’t managed to find any I really liked within my price range so I decided to go for it and make some instead. This project took two evenings to complete, but I think it was worth it. My friend Amy was kind enough to take all my outfit photos for me, and I love them! 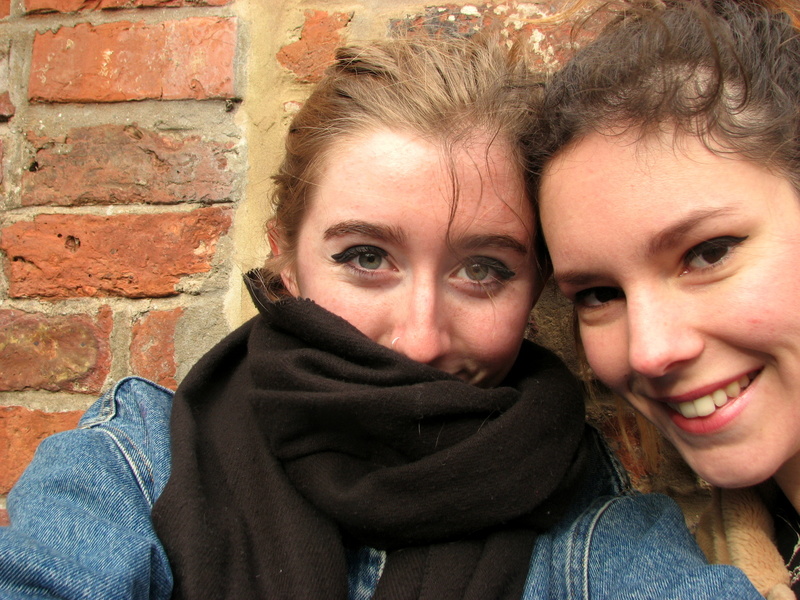 It’s definitely something that we should do together more often, it was so much fun. Thanks Amy! If you want to see more of what she’s up to, you can find her here and here. A pair of shoes. As long as they’re a shape that you like, the rest doesn’t matter since you’ll be gluing velvet to them. I got mine from this website, which is now my favourite place to buy shoes! Some fabric. You don’t have to use green, you don’t even have to use velvet, it’s up to you what you’d like to cover your shoes with! 1/2 a metre will be plenty. Some superglue that won’t wash off in the rain. Acrylic paint for the soles. I used black, but use whatever colour you like! Step 1: Trace the pattern of your shoes. This is the trickiest part. Look at how your shoe is already split up into sections. My shoe had a section on either side and one on the front. Then lay the tissue paper over and trace around each section. 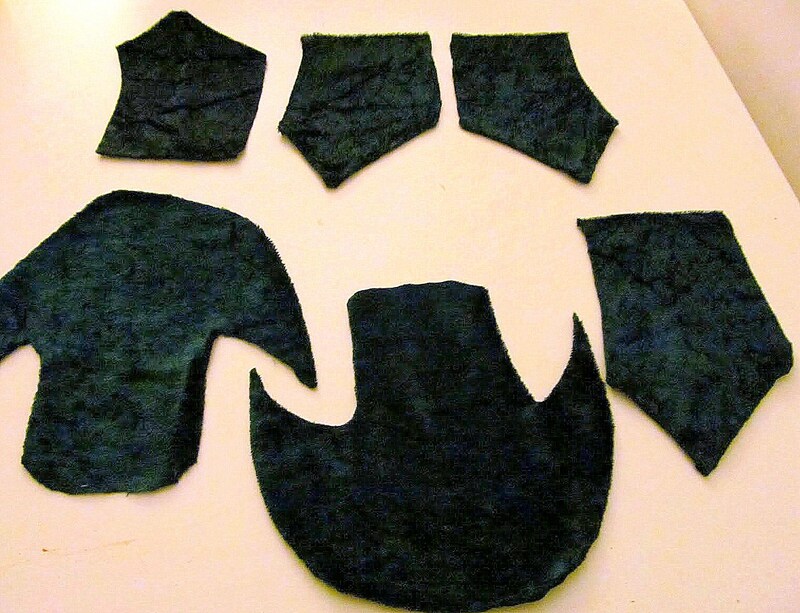 Step 2: Cut out the shapes you drew onto your tissue paper, and pin them onto your fabric. Then cut around the shape, about a cm away from the tissue paper all the way around. This is to allow enough space for you to hem each patter piece. Step 4: Glue your pattern pieces onto your shoe! Don’t be shy with the glue, you want to your fabric to be secure, but make sure not to get any on the outside of the fabric! Step 5: After that’s dried, use the acrylic paint to paint the sole of your shoe. Once it’s dry you can seal it with a coat of PVA. Step 6: Use the scissors to poke a hole in the fabric where the laces should go. Thread the ribbons through as laces. Ta da! 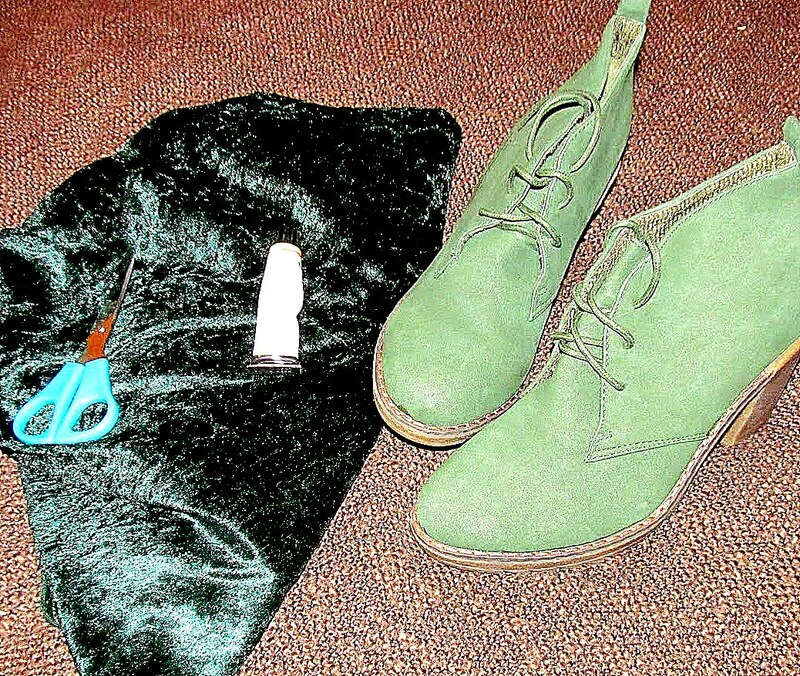 Now you have a totally transformed pair of shoes Once you learn how to do this, it’s hard not to start gluing velvet onto EVERYTHING. 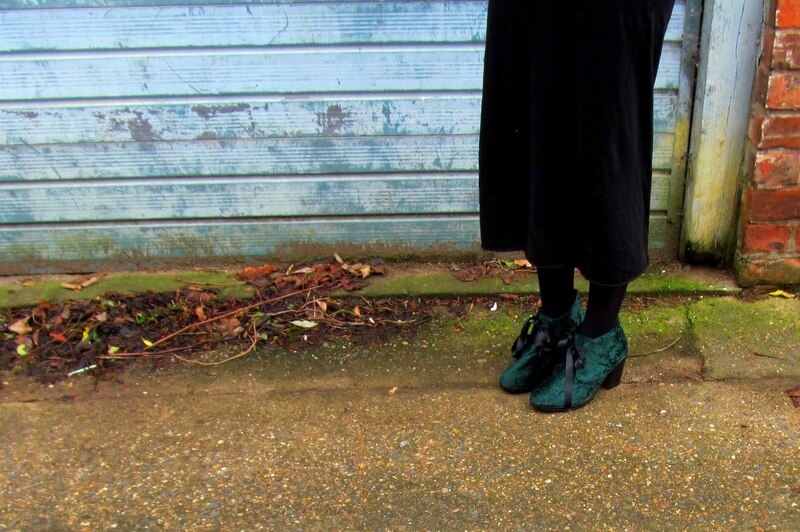 Have you ever tried re-styling a pair of shoes? thanks for your comment on my blog these shoes are totally cool. i never would have thought to recover to restyle. it’s an awesome idea! wow this is the coolest thing ever! Such a good idea! I have some old shoes just like that shape that I never wear any more!! I am totally going to do this! I just saw the link to this in your sidebar and had to check out the post- these are amazing!! What a great idea and you covered them so perfectly, I would’ve never guessed they weren’t originally velvet!